One of the groups campaigning for a British exit from the EU says it is unimpressed with new BBC guidelines on the EU referendum - but a spokesman for the corporation says it will not be "bullied" over its coverage. The BBC yesterday published its guidelines for coverage of the upcoming referendum on Britain's membership of the EU, for which a date has not yet been set. The guidelines have been published on the BBC website, in line with policy for all major elections and referenda. The same is done for the BBC's general editorial guidelines. "There is no area of its output where the BBC’s commitment to due impartiality and independence from political influence is more closely scrutinised than in reporting elections and referendum campaigns. For this campaign in particular, that scrutiny will be intense and high profile," the guidelines say. Among mandatory elements, it stipulates that "any programme that does not usually cover political subjects or normally invite politicians to participate" should consult Ric Bailey, the corporation's chief adviser on politics, before finalising plans to do so. It also says that BBC outlets must not "lead a news bulletin or programme simply with the results of a voting intention poll", while the section on social media says BBC editorial and production staff "must avoid compromising the BBC’s impartiality or bringing the BBC into disrepute by their activities, for instance, by expressing their own views (or endorsing the views of others) on any political matters, either on personal websites or social media". Jack Montgomery, a press officer and spokesman for Leave.EU, one of the campaign groups seeking Britain's exit from the EU, told PRWeek: "Bias in the coverage up to now is revealed in the questions that have gone unasked. For example, coverage of the renegotiation has been entirely on David Cameron's terms, focusing on the details of his trivial proposals. No-one has demanded to know why things like ending the supremacy of EU law, demanding limits on free movement or powers to conduct an independent trade policy never made it to the table." He argued that pro-EU campaigns had been allowed to "make lazy and inaccurate claims" without being challenged, and said: "It is these sins of omission that are the real problem, not outright partiality, and I'm not sure that the new guidelines do much to address them." Speaking on behalf of Vote Leave, another Brexit campaign, Conservative MP Andrew Rosindell reiterated Montgomery's criticism of the BBC for characterising the referendum as being about Europe as a continent rather than the EU as an organisation, saying: "The BBC should not helping pro-EU campaigners who purposefully conflate leaving the out-dated political project that is the EU with our trading position on the continent of Europe. 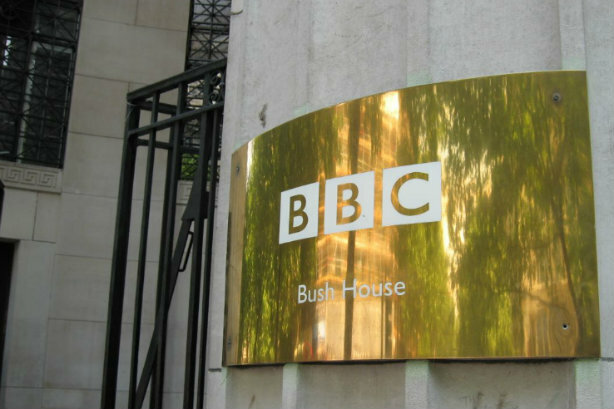 "By constantly repeating this deliberate tactic of the BSE campaign, the BBC run the risk of aiding project fear and campaigners who want to keep us in the EU at all costs." Meanwhile, a press officer for Britain Stronger in Europe said it would not be appropriate to comment. A BBC spokesman responded, saying: "We're going to take a carefully balanced approach to the referendum, and where there are mistakes we'll hold our hands up – but we're not going to be bullied into covering the referendum in an inappropriate way."